’Twas the night before Christmas, when all through the house, all of the little children were plain freaking out! For the littlest one lacked a fun outfit to wear, and the older girls told her they weren’t going to share. Wait a minute, that’s not how that poem goes. But sometimes...it is how life goes. Why make your kiddos fight over who gets a darling Christmas look? Your youngster deserves a special Yuletide surprise all her own--no hand me downs, here! 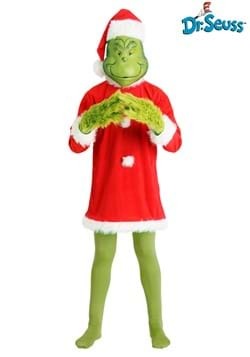 And trust us, whether your daughter is the ultimate Christmas enthusiast, or she needs a bit of reminding about the concept of selfless holiday cheer, she is bound to leap with joy at becoming the tiny character that packs a big holiday punch! Who? Who, you ask? Oh c’mon, you know Who. 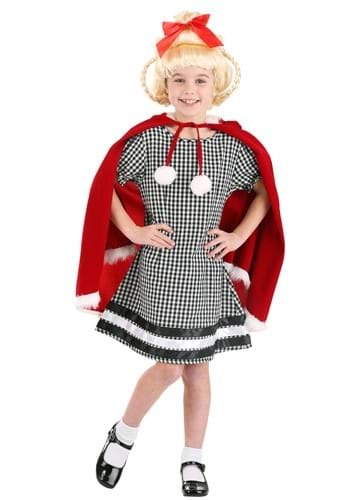 In this Christmas Girl Costume, your littlest lady can embody the spirit of the holidays in her very own look that will have even her older sisters wishing they’d been more willing to share when they’d had the chance--talk about bringing people together! 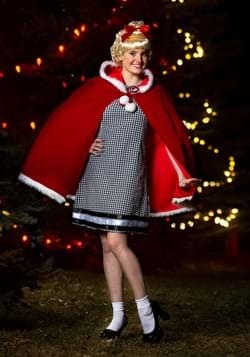 She will be so excited at slipping on this gingham, velvet, and faux fur ensemble, that she is likely to lift her voice in celebration. She may even get the whole town singing with glee! 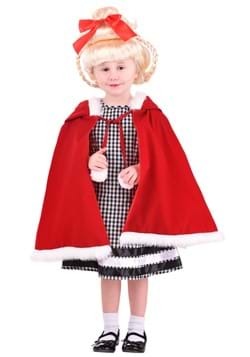 With the luxe red cape and sweet satin trim, this cute costume will surpass those visions of sugarplums, and will dance through the dreams of your kiddos as they nestle all snug in their beds. 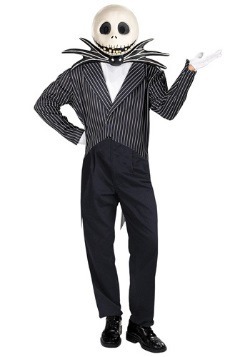 Great costume and great company. 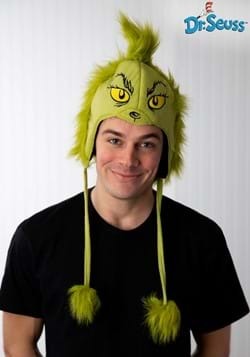 Received this item in time.....my daughter had a great day celebrating Dr. Seuss’ birthday at school. She was a hit as Cindy Lou Who!